On Tuesday, Judge Martin Feldman granted a preliminary injunction brought by the oil industry against the Obama Administration’s 6-month moratorium on floating offshore drilling in the Gulf of Mexico. That ruling lifts the drilling ban. 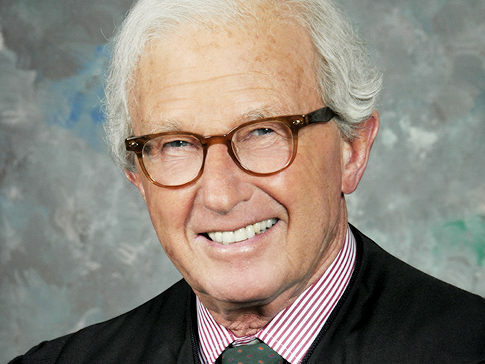 First of all, it is significant that Judge Feldman has reported extensive investments in the oil industry including both Halliburton and Transocean. Shockingly enough, his ruling does not read like it was penned by an impartial arbiter. He uses phrases like “the government admits that the industry provides relatively high paying jobs” (p. 5-6). Like that has anything to do with the safety of offshore drilling. In describing the Deepwater Horizon disaster, Feldman even uses the exact same analogy trotted out by conservative pundits; “Are all airplanes a danger because one was?” (p. 19). He also adds a few more analogies, including my personal favorite: “[Are] all tankers like Exxon Valdez?” (p. 19). YES, FELDMAN, ALL THE SINGLE-HULLED TANKERS IN THE WORLD ARE JUST LIKE EXXON VALDEZ. That’s why we’ve switched [embarrassingly slowly] to using double-hulled tankers! Judge Martin Feldman. One of the 37 out of 64 active or senior judges in key Gulf Coast districts that have ties to the oil and gas industries. Having read Feldman’s 22-page ruling, I am less than compelled by his arguments. 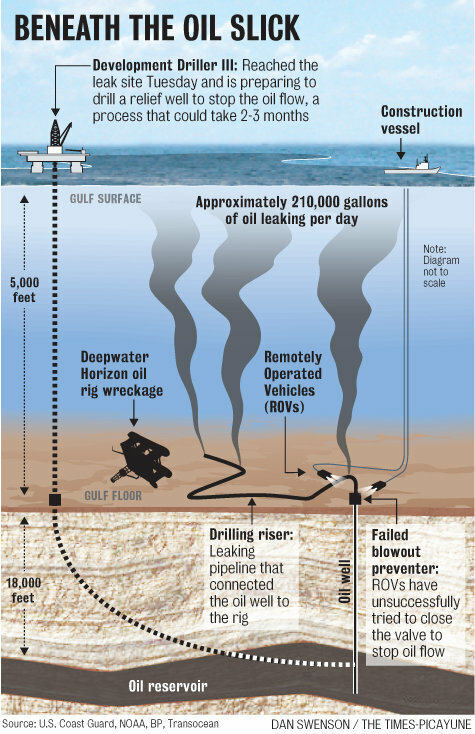 -Fact: We do not yet know what caused the blowout that sank the Deepwater Horizon rig. -Fact: We do not have adequate prevention or containment methods for a deepwater blowout, so a massive oil spill is guaranteed if a blowout occurs. -Fact: A massive oil spill is unacceptably destructive. -Conclusion: Deepwater drilling must be halted AT LEAST until we know how to prevent and/or recover from deepwater blowouts. Nobody has presented a counterargument to this logic. This ruling does not contain one. I don’t believe that one exists. “Oil and gas production is quite simply elemental to Gulf communities” (p. 6). As nice as that non sequitur would look on an oil billboard, all that says is that these communities need to diversify. Employment has nothing to do with the justification for this moratorium. 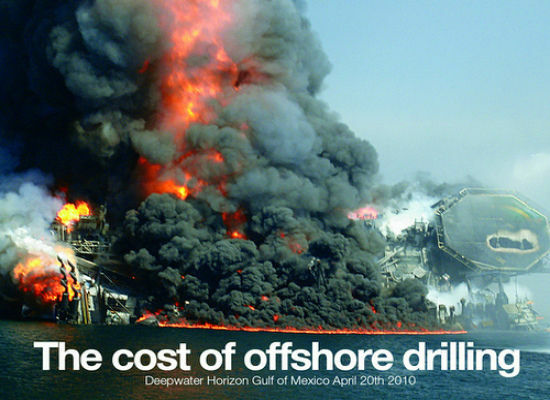 Even if it did, I have shown that blowouts such as this cause far more job loss in sustainable industries such as fishing and tourism than the moratorium would temporarily cost the drilling industry. I find further faults in Judge Feldman’s ruling. “for the suspension or temporary prohibition of any operation or activity, including production…if there is a threat of serious, irreparable, or immediate harm or damage to life (including fish and other aquatic life), to property, to any mineral deposits (in areas leased or not leased), or to the marine, coastal, or human environment.” (p. 7-8). This oil spill meets EVERY ONE of these conditions, ANY ONE of which justifies a moratorium. Now, that same piece of legislation also preserves the right of any person “having a valid legal interest which is or may be adversely affected” by such regulations to sue to stop them (p. 8). But those adversely affected workers do not make our oil rigs any safer or in any way reduce the threat that validates the moratorium. If they have suffered financial burdens, make BP and friends compensate them. Case closed. The Administrative Procedure Act cautions that an agency action may only be overturned if it is “arbitrary” and “capricious”. Lo and behold, Judge Feldman found this moratorium both arbitrary and capricious. This moratorium is anything but arbitrary and whimsically impulsive. Feldman contends that the government did not examine alternatives to the moratorium. But until we know what caused the spill, there is no other effective preventative measure than not drilling (aside from blindly hoping it doesn’t happen again before we figure out what happened, but that’s not what I consider “effective”). Feldman explains his ruling with the contention that the MMS report outlining the proposed drilling reforms “makes no effort to explicitly justify the moratorium: it does not discuss any irreparable harm that would warrant a suspension of operations” (p. 4). Seriously Feldman? Are you joking? Have you read the news in the last two months? You live in Louisiana for crying out loud. Oh! I know, check the performance of your oil stocks. Notice anything different? Ya, something big happened. It has consequences. Feldman goes on to condescendingly demonstrate Secretary Salazar’s “pattern” of implying the catastrophic effects of deepwater drilling without explicitly stating them. Instead of explaining the most convincingly implied point I have ever come across, I will take this moment to explicitly proclaim Judge Bubby Boy either decidedly dim or of integrity as oily and compromised as a deepwater blowout preventer. Take your pick. The points of contention continue. Feldman repeatedly refers to the Administration’s “blanket” moratorium on offshore drilling. If you’ve been following the oil spill, you may recall an earlier “mini-scandal” when the moratorium was announced: Secretary Salazar assembled a panel of experts to review the proposed safety reforms. Those experts approved – among many other reforms – a six-month moratorium on exploratory wells deeper than 1000 feet. The final report proposed a six-month moratorium on exploratory wells deeper than 500 feet. Everyone freaked out about DOI’s “blatant misrepresentation” of the experts’ recommendations (of which the moratorium was a small fraction). First off all, that last sentence sounds like the script for a Fox News anchor. My complaint here is for those experts that oppose the moratorium as well: just what kind of moratorium would you propose? 500 feet is the switchpoint between rigs that rest on the ocean floor and floating rigs. That is, in Judge Feldman’s own words, “undisputed” (p. 18). The oil industry (in this case, including Judge Feldman) isn’t angry that the Department of the Interior changed the moratorium depth by 500 feet. They’re angry that it was implemented at all. People talk about this “blanket moratorium” as if Obama tried to stop all offshore drilling. In fact, he attempted to do nothing of the sort. Feldman writes that he “is unable to divine or fathom a relationship between the findings and the immense scope of the moratorium” (p. 17). Recurring oil spill delusion aside, “immense scope?” Let’s look at what we’re talking about here. The term “blanket” moratorium by itself is misleading. The moratorium applied only to floating oil rigs drilling exploratory wells in depths deeper than 500 ft. Existing production at those depths continued unaffected. Shallower offshore drilling (the vast majority of offshore drilling) was unaffected. The moratorium only applied to 33 oil rigs out of the ~4500 currently drilling in the Gulf! How much more limited could the moratorium get? Should it only apply to deepwater wells owned by BP? Only deepwater wells cemented by Halliburton? Only deepwater wells operated by Transocean rigs? How about only those deepwater rigs that are about to explode and sink? WE DON’T KNOW WHAT CAUSED THE BLOWOUT; how could we possibly refine the moratorium further? “Immense scale?” This is the loosest-weave “blanket” moratorium in history. Judge Feldman himself wrote that, “It is well settled that “preliminary injunction is an extraordinary that should not be granted unless the party seeking it has clearly carried the burden of persuasion” (p. 13). That has not happened. Yet Judge Feldman today rejected the government’s appeal to his Tuesday ruling. In doing so, he refused to delay his lifting of the drilling moratorium. Why? For “the same reasons” given in his prior ruling. God bless America. In case you didn’t have the pleasure of watching executives from BP, Halliburton and Transocean testify before Congress Tuesday afternoon, I have compiled some highlights and thoughts below. The testimony in the U.S. Senate Committee on Energy & Natural Resources was revealing in how little it revealed. If we are to learn from and respond to this tragic event, people will have to start changing their tunes. As of today, they have not. I mean that in respect to both the oil executives and many of our U.S. senators. We’ll do the Big Oil execs first, then get into the senators. If you have watched this kind of congressional testimony before, you know it is the world’s most boring dance. Senators ask questions, and those testifying carefully choose their words to convey as little as possible – or claim memory loss. Sometimes a senator will pursue an answer, but rarely does that actually extract the desired truth. Corporate legal teams carefully prep their executives to legally dodge the most damning questions. That preparation, which largely defeats the purpose of these hearings, was on notable display twice this afternoon. For over a week now, BP has said it is prepared to pay “all legitimate claims.” They’ve been talking a big game about how they plan to repay their victims. Conveniently, BP has yet to define exactly what claims it considers “legitimate.” They are unlikely to do so until they are taken to court. In his testimony, when pressed on this question, BP America President Lamar McKay did nothing but repeat that deliberately ambiguous phrase. To top it off, McKay had the gall to follow up this laughable interaction with a preposterous assurance: “this is not about legal words, it’s about getting it done and getting it done right.” No, sir, this is PRECISELY about legal words. Please refrain from lying under oath, Mr. McKay. It’s frowned upon. The second most odious exchange of the hearing was when Transocean President and CEO Steven Newman was asked if this type of spill had happened before. He replied that the only incident he could recall was the Ixtoc spill. To his credit, that spill was the worst of this type, but this answer is incredibly deceitful. You’re trying to tell me that that Steven Newman, presumably a lifelong oilman, the president and CEO of an offshore drilling company that specializes in deepwater drilling, has to go back 31 years to recall an incident like this one? I’ve never worked in the oil industry and even I know that THIS TYPE OF SPILL HAPPENED 8 MONTHS AGO (Halliburton is suspected to have caused that one too)! In fact, even the photographers in that hearing room knew about the Montara spill: Sen. Menendez brought it up earlier in this very hearing! Note that the response was deliberately and delicately phrased (“the only incident I can recall“) so as to avoid committing perjury. Even as oil is gushing into the Gulf of Mexico, the oil industry and their congressional allies are STILL trying to cast offshore drilling as a safe practice. This spill was not unconceivable and not unprecedented. Senators and oil executives repeatedly called this accident “unique.” The only thing unique about this oil well was that it was in even deeper water and even deeper underground than usual, so all the real risks associated with drilling and the complications of containment and cleanup for spills were MAGNIFIED! The oil executives weren’t the only ones choosing their words carefully. When I tuned in, Sen. Lisa Murkowski (R-AK) had the microphone. She was going to great lengths to avoid saying the words “oil” or “spill.” She even referred to the Exxon Valdez “incident.” This type of disingenuous wordplay is normally reserved for company spokespeople. Sadly, this is par for the Murky course. Lisa Murkowski (R-AK): It is difficult (although sadly, not THAT difficult) to find a U.S. senator doing LESS for the American people and more for industry special interests. 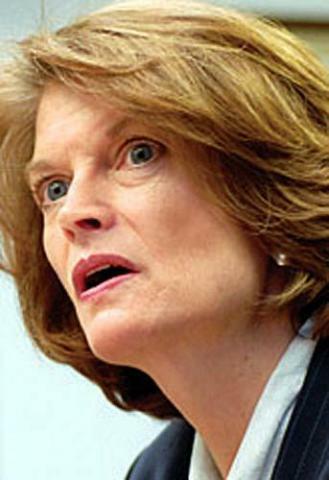 Murkowski is often derisively labeled as (R-OIL) because of her industry ties. It is her “dirty air” amendment in the Senate that is attempting to strip the EPA of its authority (and indeed Supreme Court-issued mandate) to regulate carbon dioxide under the Clean Air Act. It came as little surprise when news broke early this year that the amendment had not been written by the senator’s staff but rather by oil industry lobbyists themselves. She was merely their mouthpiece. The things money can buy. In her opening statement, Murkowski, the ranking minority member of the committee, explained why we need domestic oil drilling: “for the sake of our nation’s economy, for the sake of our national security, and this incident not withstanding, for the sake of our world’s environment.” The economic and national security impacts of domestic offshore drilling have long been shown to be literally negligible, but I am genuinely curious to hear how this congressional oil flack would spin drilling as anything short of toxic for “our world’s environment.” Too bad Murkowski wasn’t under oath too. Sen. Jeff Sessions (R-AL) also took the opportunity to extol the virtues of domestic offshore drilling. I would tell you more about his questioning, but I really don’t think I could. When he had the microphone, I almost felt sorry for the industry executives; he never really put together a coherent sentence. The inflection in his voice was raised when he stopped talking, and he clearly expected them to respond, but I didn’t even understand what he expected of them. How fortunate, then, that the executives were coached not to give actual answers anyways. Sen. Mary Landrieu (D-LA) was talking tough for her state. She is in a fierce primary against a much more liberal opponent, Lt. Gov. Bill Halter. But all her barking is election-year antics. No congressperson receives more money from the oil industry than Landrieu, and she continues to push the lie that offshore drilling is vital to our country – even as oil begins to wash up on Louisiana beaches. Her priority is making sure BP pays her voters quickly enough that she will be reelected to continue to act against our country’s best interests. Sen. Robert Menendez (D-NJ) and Sen. Maria Cantwell (D-WA) were on point and champions. They asked piercing questions and did their best to take the executives to task and get actual answers. Yet there is only so much one can do within this broken system. Having watched some testimony before, I know that these proceedings were not that unusual. To me, this is not a defense of what transpired today but rather more proof that business as usual must change if we to move forward as a country, both in the context of this tragedy and more broadly. Congress is an inertial body, but a catastrophe of this magnitude demands action.